If you have any questions or want to enquire about dates, use our form to contact Andrew Blandy or see their website for more information. Come to get away from the big bad world. Climb up the hill from bustling Funchal to a large old family house surrounded by vines, formal gardens, serene pool, tennis court, mature trees and plenty of places to hide away however many people you come with. There’s tons to do if you prefer to be active: an on-site ceramicist will help you throw your best ever pot; workshops include meditation and 5-rhythms dance; there’s a beach in town for swimming. Return to masses of space, beautiful furniture, polished floorboards rescued from an old coaling boat, original art, lots of books, fresh lofty bedrooms with cool views, a big billiard room in the basement – and a lifetime (or several) of family history and pictures. The large modern kitchen is the hub of the house and has all the gear you need to cook up a storm; eat at the antique, convivial table in the dining room – or out on the terrace overlooking the garden, with a sea breeze. Wander through the vines that still produce madeira wine, find out about the family history. Interesting, intelligent people will love it here. Have you visited Villa - Quinta de Santa Luzia? Be the first to leave a review. 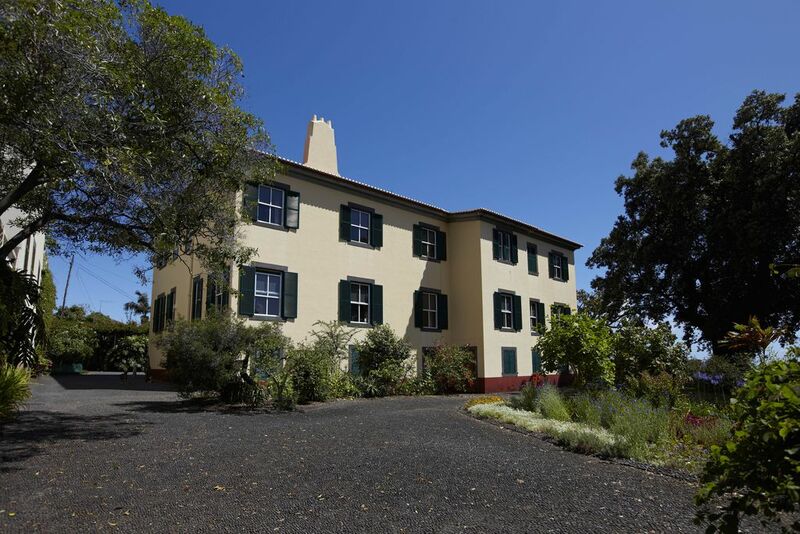 Its a family home that goes back 7 generations, and belongs to one of Madeira´s wine making family the Blandy´s. Take a walk through the rest of the Quinta and visit the animals (sheep and hens) the family vineyard as well as pick your own herbs and lettuces. Book a workshop with one of our artisits at the Quinta. The house comes with a full range of facilities: Full size snooker table, pool, table tennis table, piano, table football and bbq (by the pool) as well as a large garden all for guests. Rich flora and fauna. Madeira possesses a uiquely rich variety of species; from the endemic UNESCO world heritage site forest the Laurrisilva, to introduced species from all around the world making this a nature lovers paradise. An abundance of walks, along Madeira´s irrigation canals, takes you to some of the most spectacular mountain scenery in Europe. All within easy reach of the Quinta.Other activities include; canyoning, deep sea diving, mountainbiking, whale watching.